United Way is powered by volunteers. One of the reasons that United Way can impact so many lives is that we have so many community members generously donating their time to work with us. By having volunteers sit on the Board of Directors, engage in the Community Investment application process (Community Impact teams), run workplace campaigns, and assist at special events, United Way is able to keep costs low and boost fundraising capacity. There are multiple ways to get involved if you are looking to volunteer! A Day of Caring is a unique opportunity for employee, student or other volunteer groups to support local non-profit organizations by completing a project that the non-profit might not otherwise have the manpower or resources for. Under the umbrella of the United Way, GenNext works to encourage young professionals to give back to their community. The Board of Directors is made up of emerging leaders who are passionate about volunteerism and furthering the United Way’s mission. Click below for more information on United Way’s funding process. 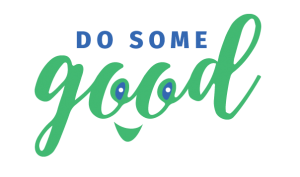 United Way is a proud community partner of Do Some Good, a community engagement platform that brings volunteers, charitable organizations and businesses together to build stronger and more connected communities. For the most up-to-date information on volunteering with us, check out our Do Some Good volunteer profile or contact us. Real change starts when we take action. Give the gift of time and help us change lives. SHOW YOUR LOCAL LOVE. Take action today!